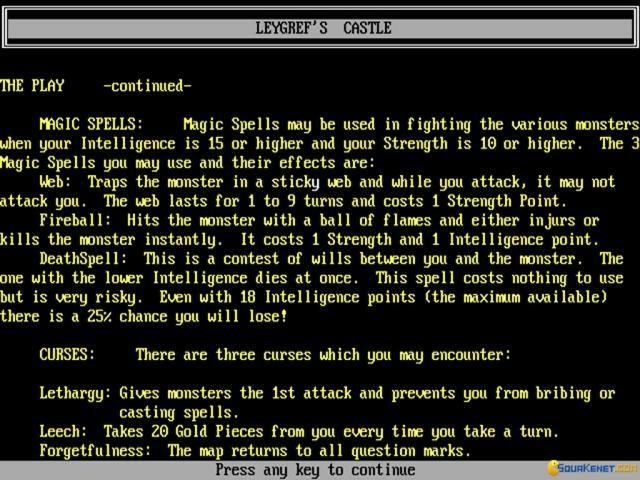 I guess Leygref's Castle was designed more as an experiment in design, and in that Rogue like principle that using some bits and pieces of content that is generated randomly can be actually better than having everything produced by hand. 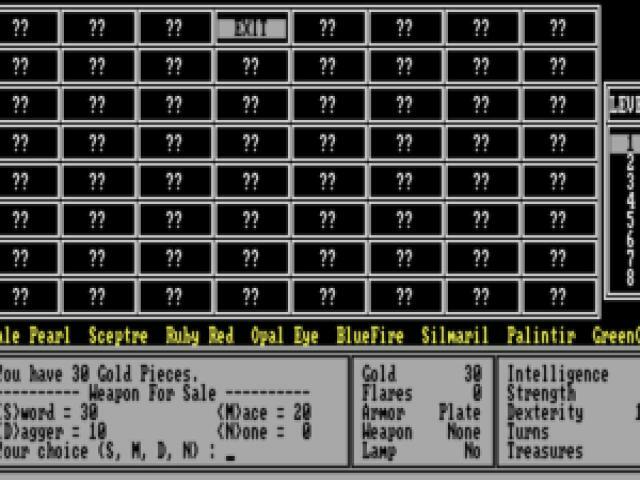 Well, that was the principle, but in reality, this game, as sprawling as it is, is also pretty lacking in detail, originality and other such staples of design that could have made it more than just an experiment, but, actually, a game you want to really, really play. 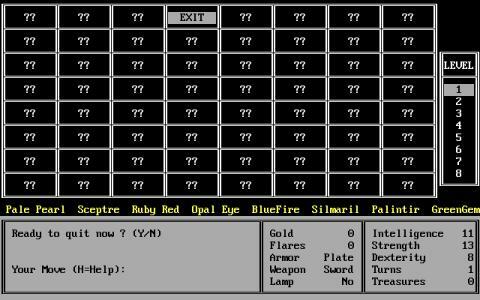 No, what it is, is a roguelike of great proportions that is pretty much the same everywhere. So, all things considered, while it sure is big and sprawling, the fact that it manages to have distinct bits is just boring. 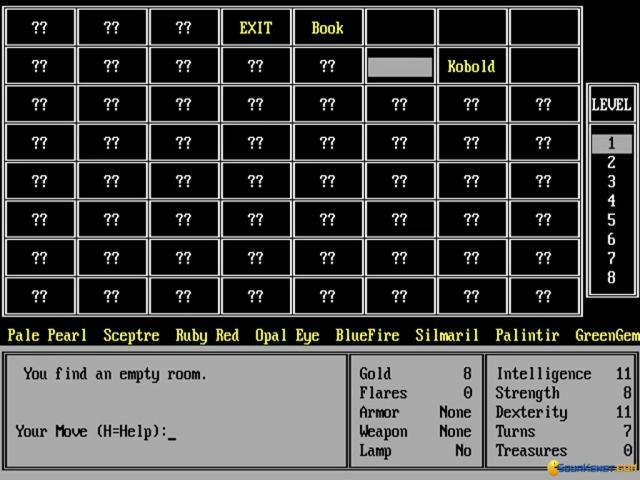 Yeah, you always get that feel that maybe the next room will have something more interesting to offer, but each and every time your hunches are demonstrated to be wrong. And so, while you might put up with a few rooms, you soon lose interest. 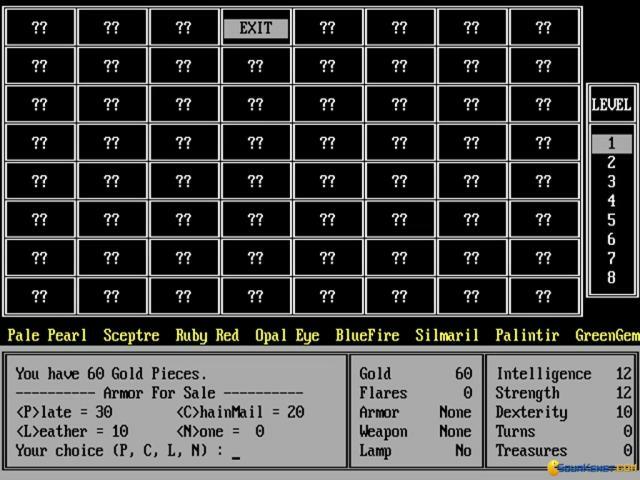 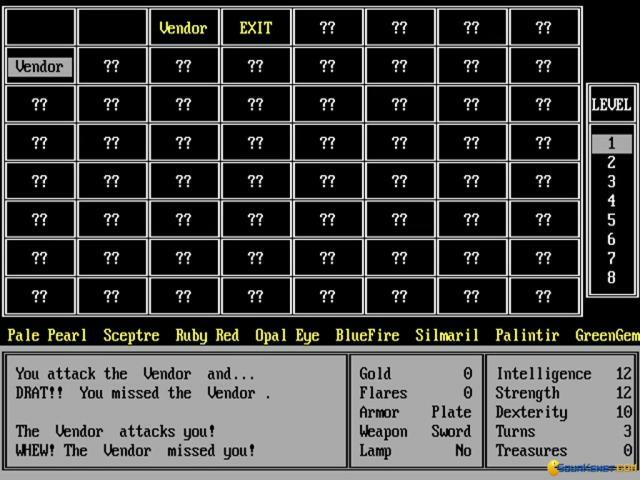 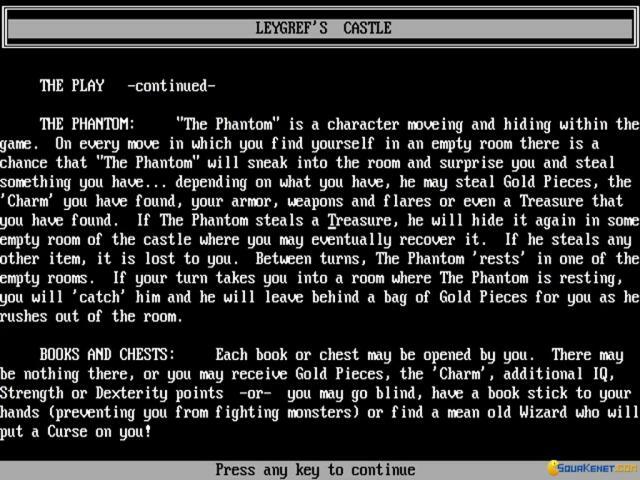 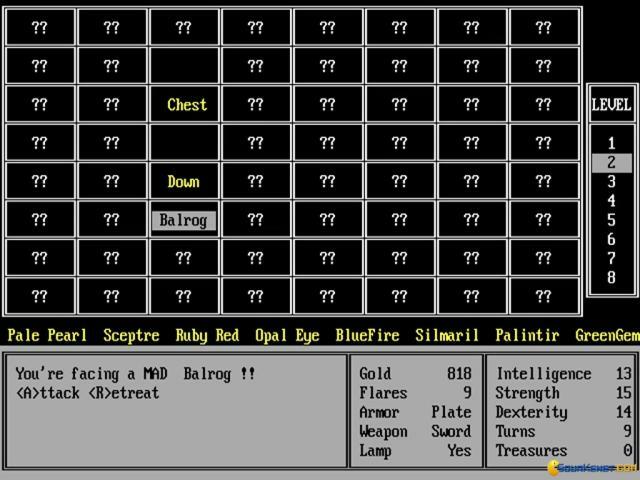 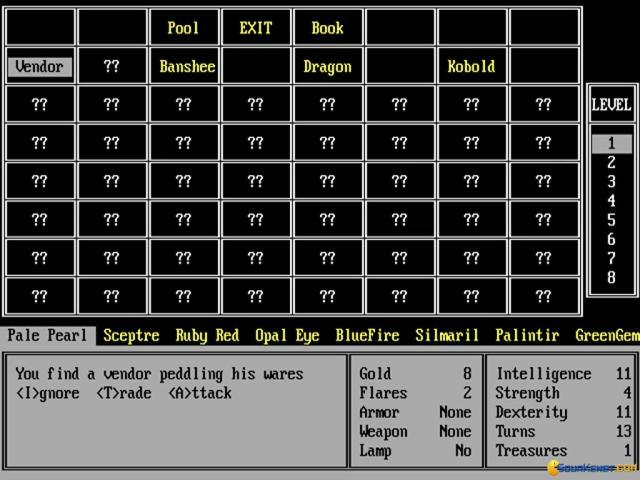 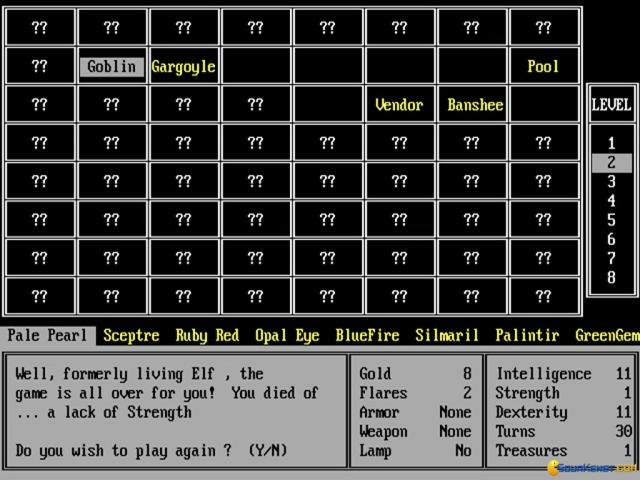 Not that Leygref's Castle doesn't have some foes and some loot, no it does, but in a good Roguelike, say, NetHack, there is some level of human input, which makes your sessions much more fun. 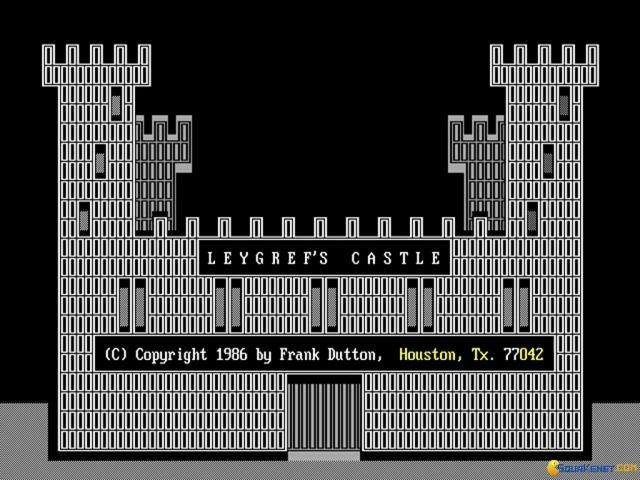 Leygref's Castle is just a game to tick away for the ambition it might have had, but experience wise, it's bland.